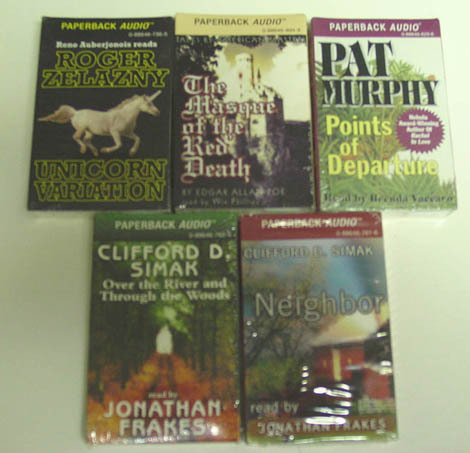 I’ve been selling Durkin Hayes Paperback Audio audiobooks for about 10 years. None of them are available on Audible.com as DH Audio (formerly Durkin Hayes, formerly Listen For Pleasure) was going bankrupt about the same time Audible.com took off. 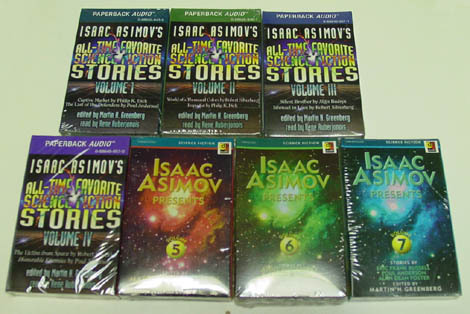 These are all out-of-print audiobooks, and I think they’re some of the very best ever put to tape. Anybody want to buy some? Edited by Martin H. Greenberg; Read by Rene Auberjonois? *This one says its abridged by I believe that is an error. 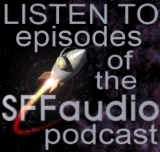 The Third Annual SFFaudio Challenge – make an AUDIOBOOK, get an AUDIOBOOK! I recently started to look for copies of all the Bradbury13 radio broadcasts. I believe that Durkin Hayes is now history. Hopefully, you may have some or all 13 episodes. Please advise — if yes, please advise pricing. If a choice, I’d prefer CD’s over tapes, but either will do. I’m looking for Maigret audio books, do you have any ? If you have the Dirkin Hayes Audiobook “The Shepherd” by Frederick Forsyth please contact me. I wish to purchase Frakes/Simak “Over the River and Through the Woods” and “Neighbor” (which includes “Desertion”) using PayPal. I’m looking for the children’s fairy stories and the hobbit area for my daughter do you stock any of these? Or do you know who I might try?